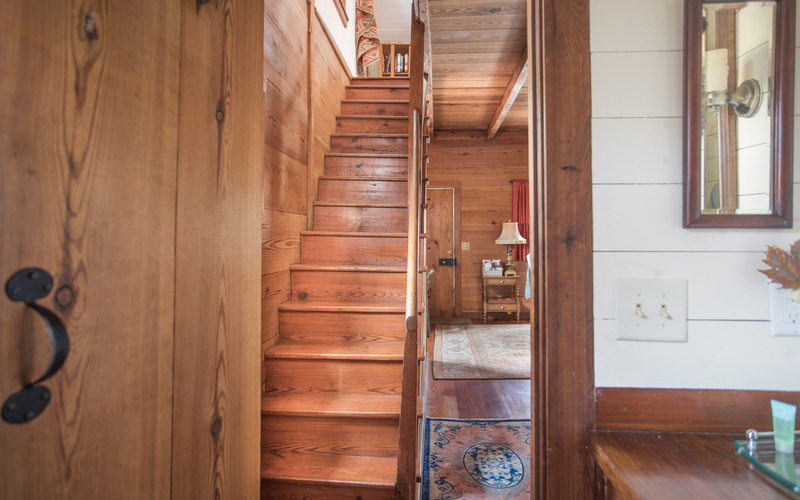 If you’re looking for a house with history, look no further! 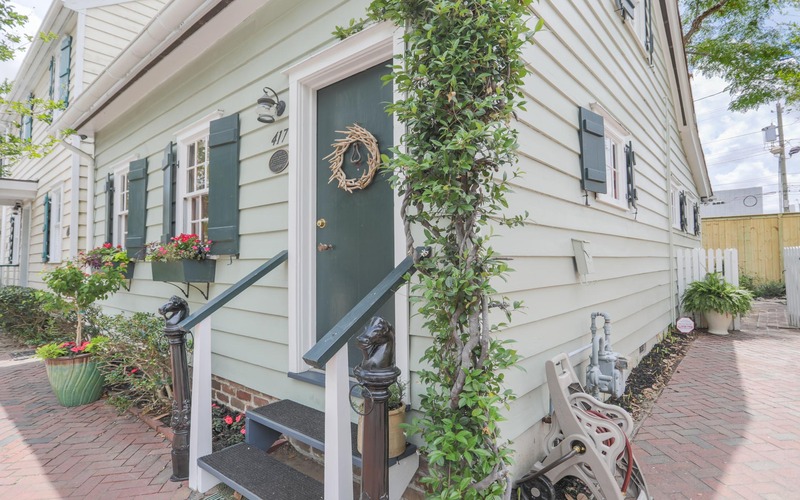 Located downtown in the heart of Savannah’s Historical District, this charming Savannah vacation rental comfortably accommodates up to four people and is listed on the National Register of Historic Places. 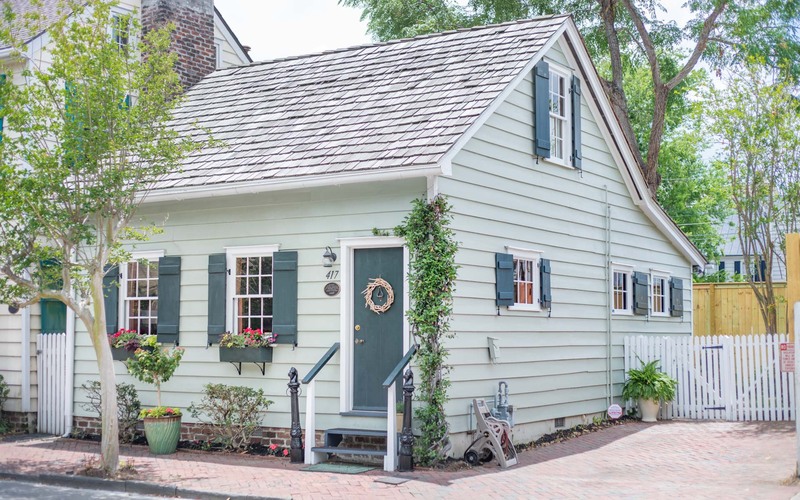 Built in 1820 by John Ballon, a free man of color, the history of Freeman’s Cottage is detailed in the book "Savannah’s Little Crooked Houses: If These Walls Could Talk," by Susan B Johnson and published by the History Press, 2007. 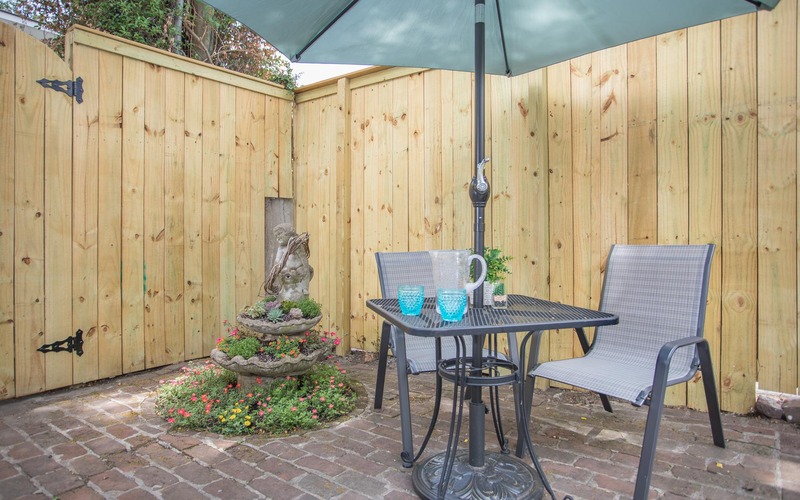 Located downtown in the heart of Savannah’s Historical District, this charming Savannah vacation rental comfortably accommodates up to four people and features on-premise parking and a secluded garden patio. 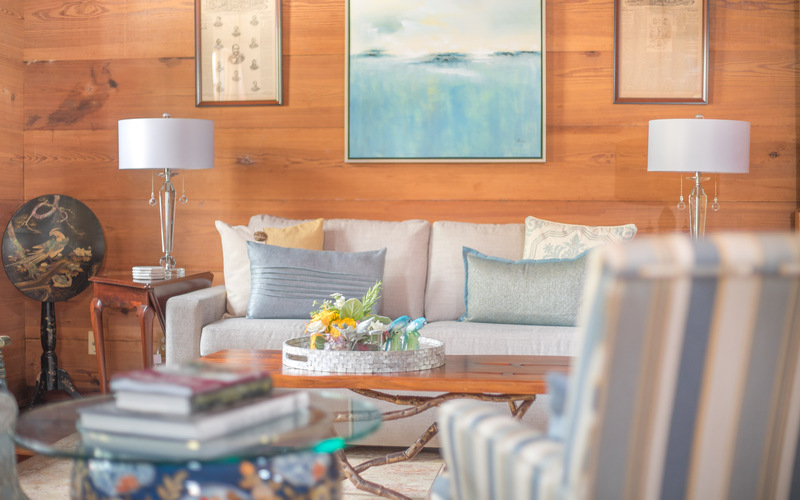 The beautiful wood used in the living area makes the space warm and inviting. 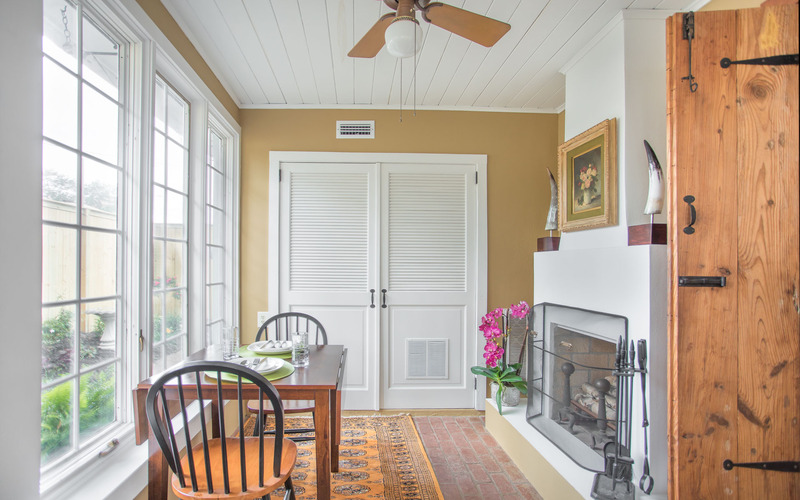 Open to the kitchen, you’ll never miss a beat of the conversation. 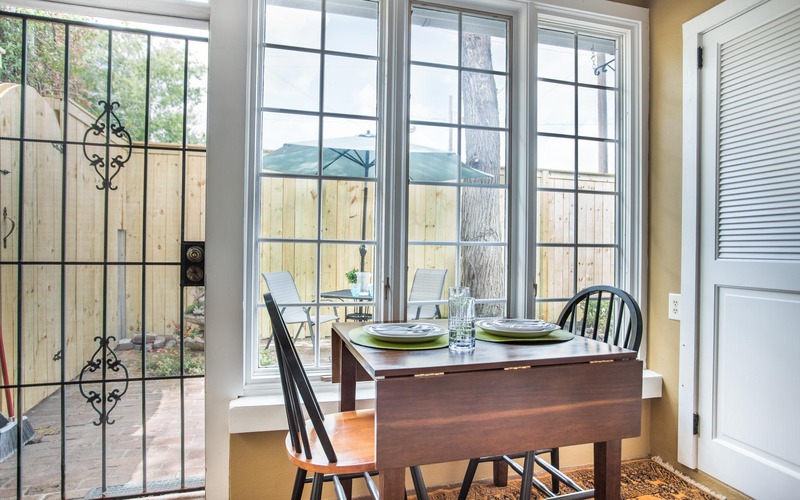 Enjoy a home cooked meal or leftovers from one of Savannah’s many fine dining establishments in the sunroom, where you’ll enjoy a view of the secluded garden patio. 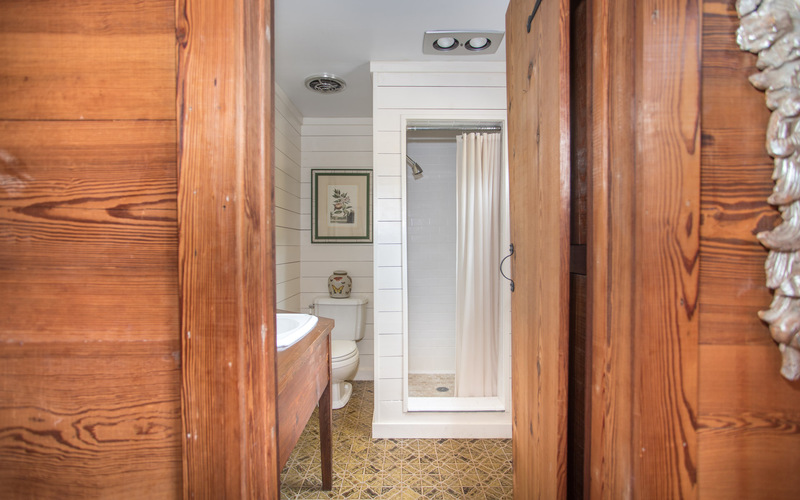 The full bath has a walk-in shower and large, wooden vanity. 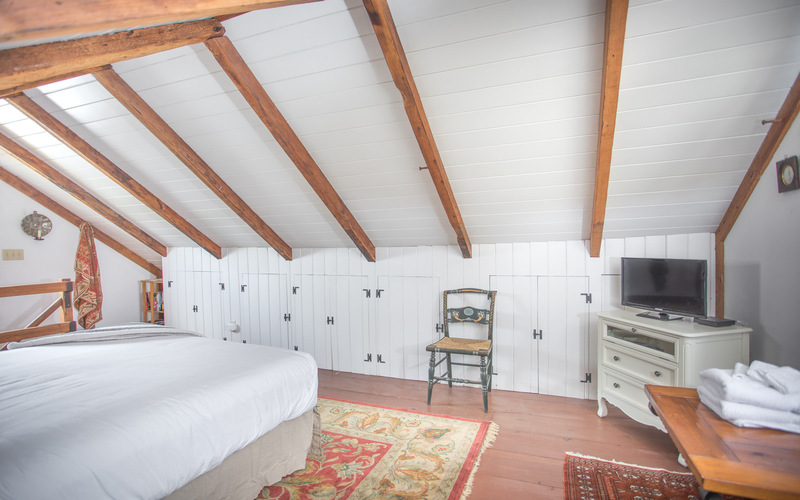 The bedroom is located upstairs, and has a queen sized bed you can relax into after a busy day of exploring. 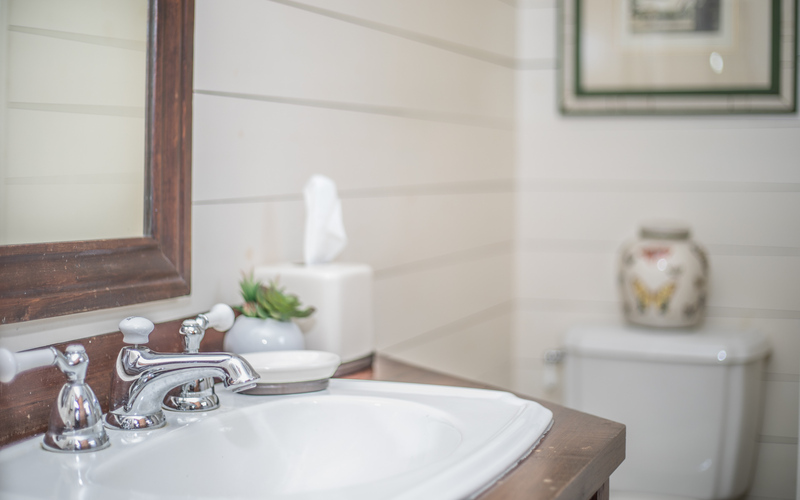 Enjoy the modern amenities of home while experiencing historic Savannah, including a washer/dryer, high-speed wifi, and free, on-site parking. 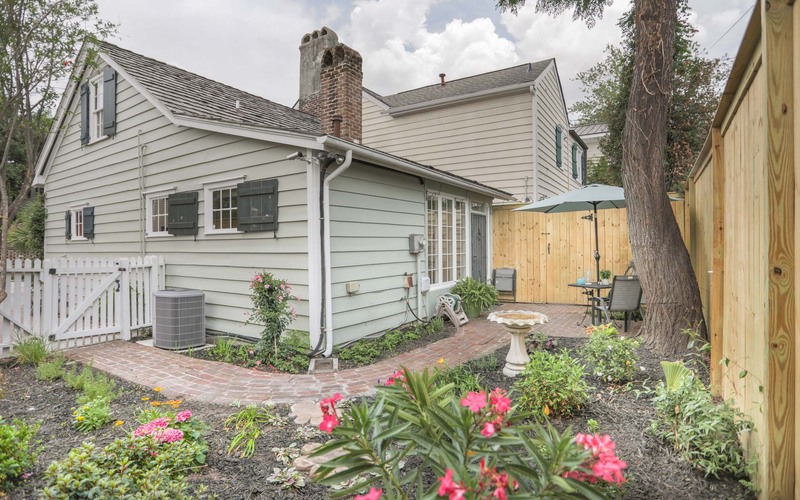 Nestled between Warren and Washington Squares, Freeman’s Cottage is conveniently located within walking distance to shops, restaurants, theaters and other points of interest. 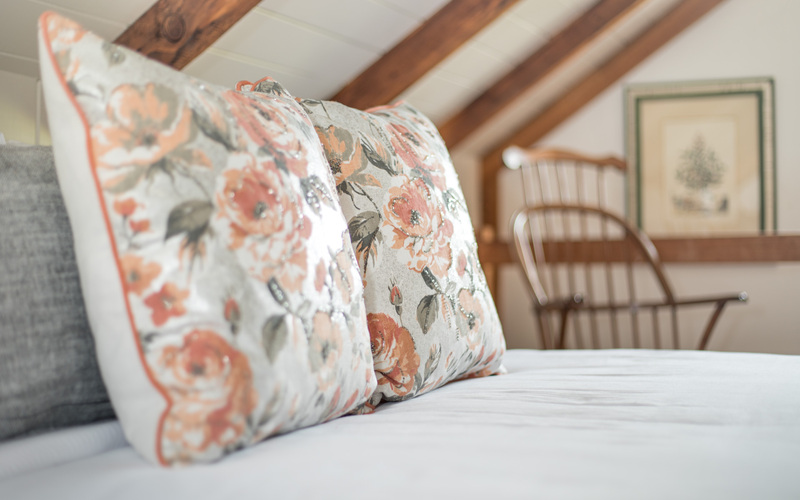 With the picturesque garden patio, the Cottage is ideal for those celebrating an anniversary or special occasion. We loved the cottage. 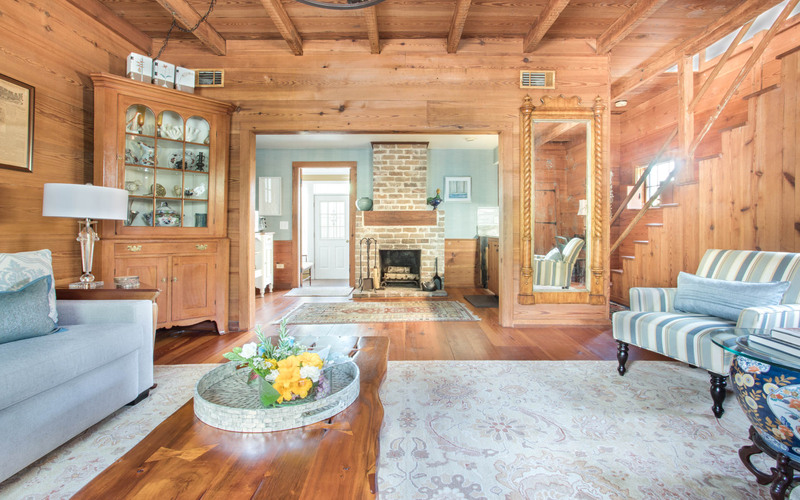 It was spotless and all of the woodwork was amazing. 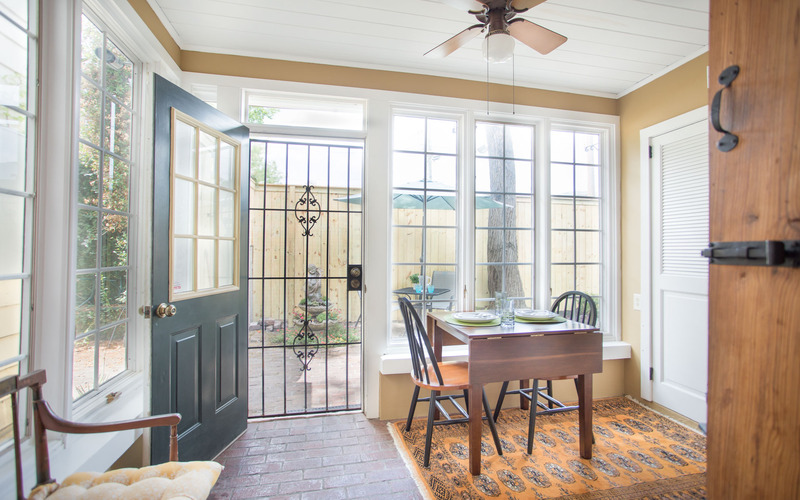 The sun porch is perfect for morning coffee and the patio is very relaxing and a nice place to enjoy a glass of wine after a day of enjoying all Savannah has to offer. We absolutely loved the tiny house! Location Location Location is Great! and the courtyard is such a wonderful oasis and space for our 2 small dogs. We will stay in this rental again. Although the hot water tank decided to give out as we where unpacking, Luck Savannah put us is another rental for a few days and we came back to a fabulous stay for the rest of the week! We had a great time in Savannah for our first St. Paddy's Day weekend! Will return next year for sure! 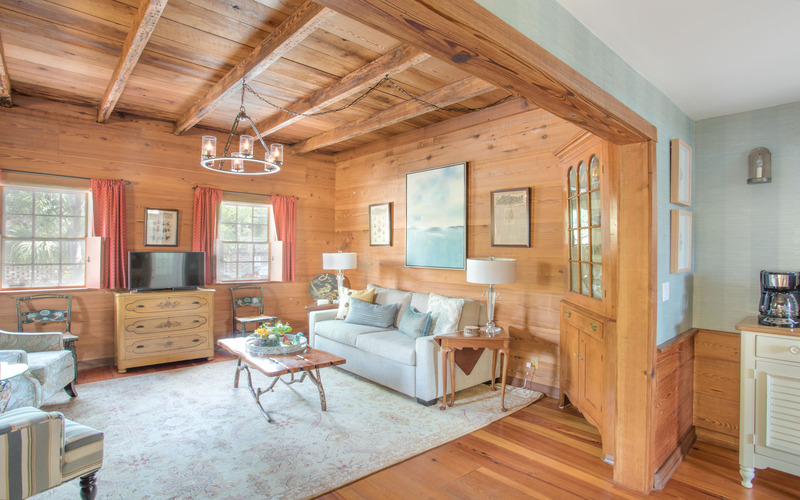 Warm and inviting cottage. Comfortable and convenient. What a treat to stay in the charming Freeman's Cottage. It's so close to the River Walk and several excellent restaurants. Just walking through the neighborhood is a delight, and with the buses/trolleys stops close by we had no trouble easily getting everywhere we wanted to go. We loved that there was off-street parking. Staying in this historic home made our first visit to Savannah extra special. Absolutely loved the character and location of this historic home. It had everything we needed and more. We stayed in Freeman's Cottage over a long weekend. It was for a mother/daughter trip and we LOVED the cottage and the location! It was perfect and a bonus for the car we rented with a free parking spot. 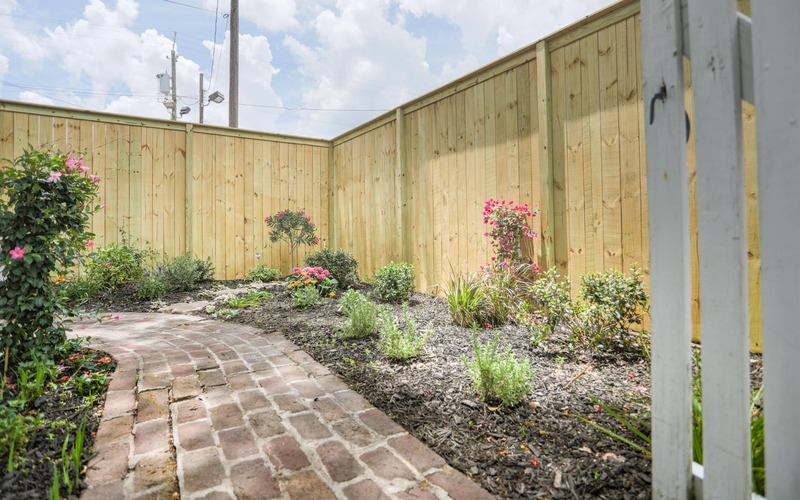 Close to all the main attractions and within walking distance of everything, including a grocery store. We had all the necessary amenities and the decor was so cute! 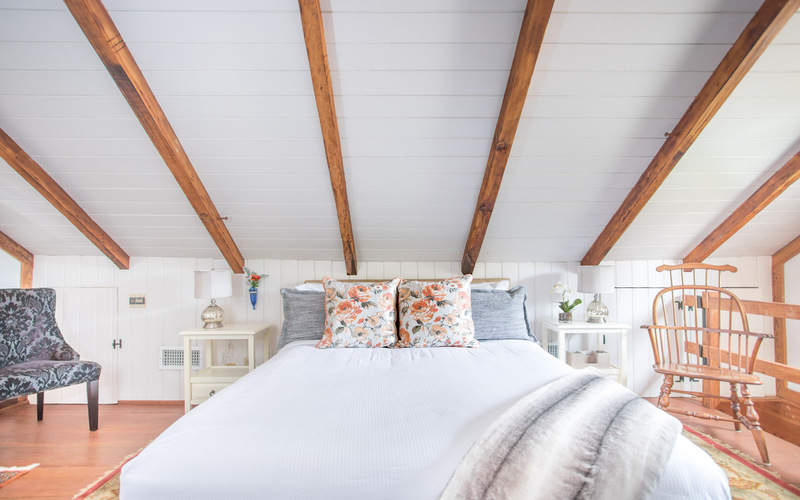 I would highly recommend this Cottage and Lucky Savannah was easy and great to work with! I couldn’t have chosen a better place to stay in Savannah! This cottage was conveniently located and perfectly sized for what I needed. It was well-maintained and cutely decorated. As soon as it’s available, I’d love to rent it again! We loved this little house so much! It was in the most perfect spot downtown and in walking distance to everything. Loved the parking spot too! 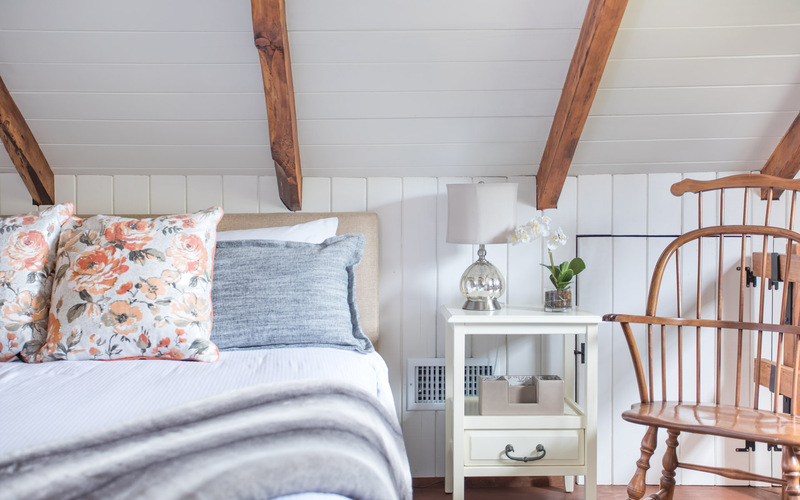 We loved the history of this little cottage and all the antique decor throughout the house! The only negative was dog hair was on the couch and bed, it wasn’t enough to be grossed out, but it was enough to be noticeable and adhere to your clothes! (Just needed to be vacuumed better!) We will definitely be back here for sure!!!!!!!! We loved our stay at Freeman's Cottage. It was warm, inviting, and cute as can be. The location was perfect to walk everywhere and we literally did not have to get into our car our entire trip. Our doggo enjoyed sunning in out in the little courtyard and the weather was nice enough that we were able to leave the back door open to let him run in and out. This may seem like a small thing but it was something I greatly appreciated -- the kitchen was well stocked with tea which was very thoughtful of Lucky Savannah to provide. I would highly recommend this cottage to anyone! We had an enjoyable time staying at the Freeman House. It was very quaint and decorated very nicely. We enjoyed the patio in the back yard. The location was perfect for all our needs. We never had to use our car. We would definitely recommend this house. Very enjoyable! 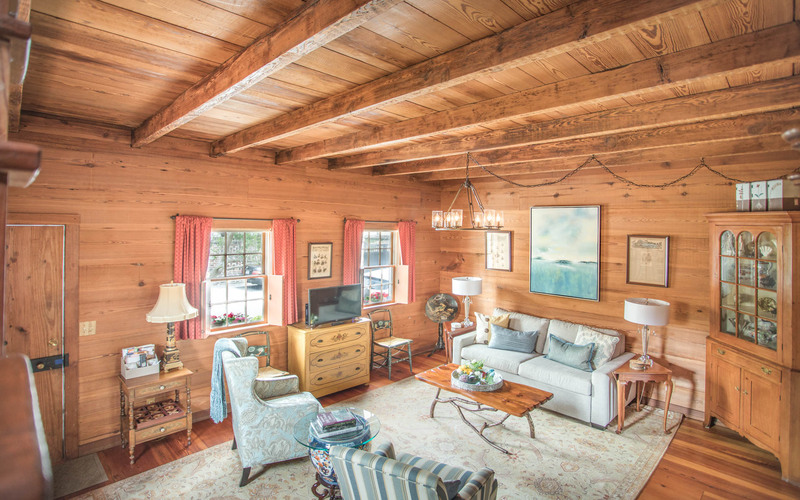 Love the cozy Cottage and how convenient it is to just walk everywhere. Which we did! Everyone we met were very friendly and welcoming. 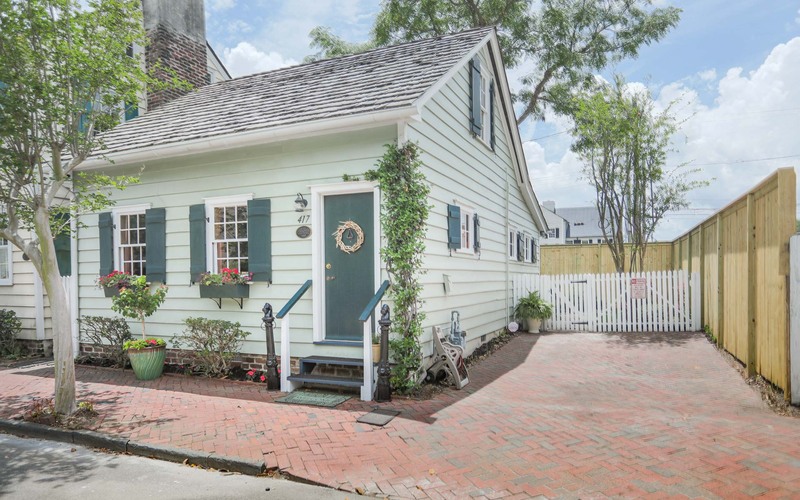 Definitely will come back to Savannah and stay in this Cottage. Thanks for the hospitality! Beautiful cottage with a great location. Very clean and had every thing we needed. 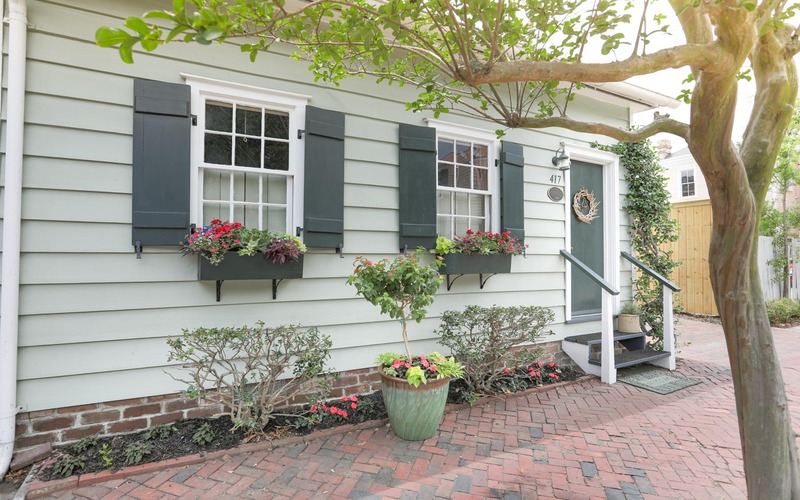 We reserved this lovely cottage so that we could experience historical Savannah and bring our two dogs. The cottage was absolutely adorable and very well appointed, and the courtyard was an added bonus. We were right next to a square so walking the dogs was a breeze. We will for sure be staying here again. This house was perfect for 2 sisters on vacation with their little dog. We were close to everything. We walked everywhere. The house was great! We will rent it again for sure. Overall, the cottage was an excellent choice. Nice backyard and breakfast room for the mornings. House was clean and comfortable. Kitchen was better than expected. 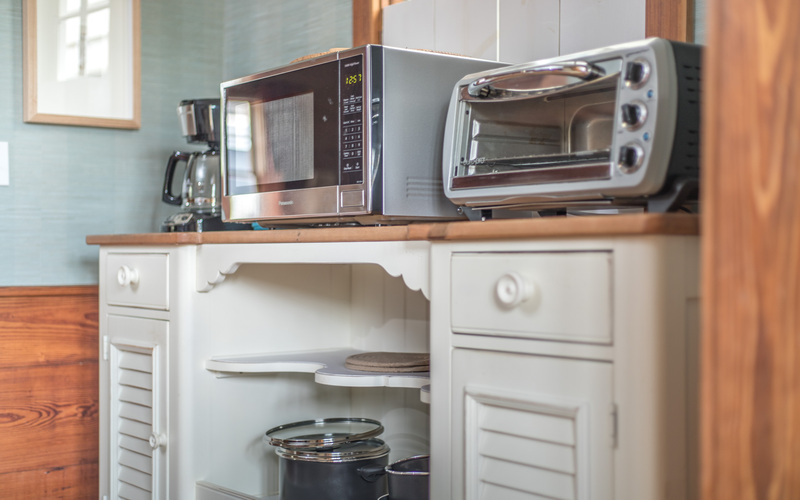 Even with the smaller refrigerator, there was plenty of room for our needs. We did not cook dinner, but could have made a meal. Only issue was that we were there in a severe rainstorm one day and the roof in the breakfast room leaked. Hopefully the landlord has fixed the issue. Hi Marilyn! Thank you for choosing Lucky Savannah! The rental seemed to have exceeded expectations and that is wonderful to hear! Also, thank you for bringing the leak to our attention. That is something we are in the process of resolving. We hope to see you again soon! Everything went perfectly from the time we got there until we left. Loved our stay in Savannah’s. Freeman’s Cottage was charming. Close enough to walk everywhere and always nice to return to after a day/evening out and about! Would stay there again!! Hi Marie! Thank you for choosing Lucky Savannah! We're so glad you enjoyed the charm of your rental. We're also excited to see that your entire stay with us was perfection. We can't wait to host you again soon! The Freeman’s cottage was everything it was promised to be. Very clean and very well maintained. 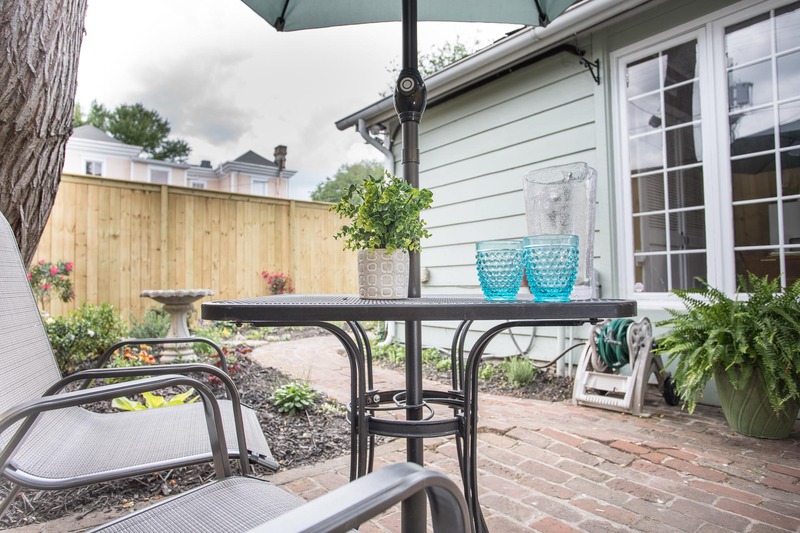 The kitchen was very well equipped and the patio dining area was just perfect for a couple. Having an included parking space turned out to be a big convenience because of it’s location the car stayed there while we walked everywhere. Our one special request was granted without problem. 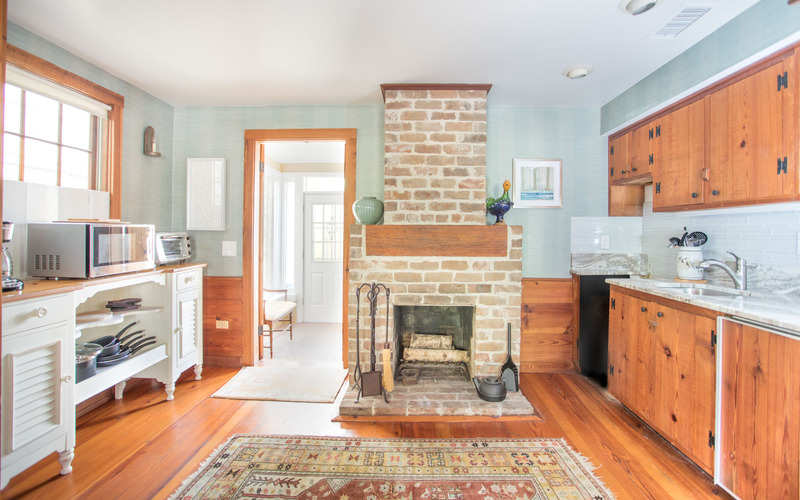 We would recommend this rental for a couple looking to soak up the history of Savannah. Hi Scott! Thank you for choosing Lucky Savannah! It's always wonderful to see guests depart from our rentals thoroughly pleased with their time here with us. Thank you for this feedback, and we hope to host you again soon! My wife and I decided this year before going to Tybee Island for a yearly family vacation, to take a couple of days for ourselves, before meeting up with the rest of the family later in the week. 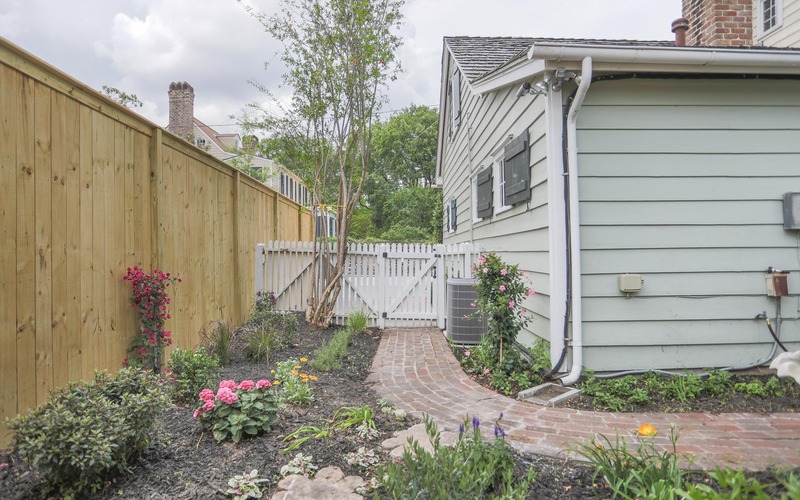 We were so glad that we chose The Freeman Cottage with Lucky Savannah. 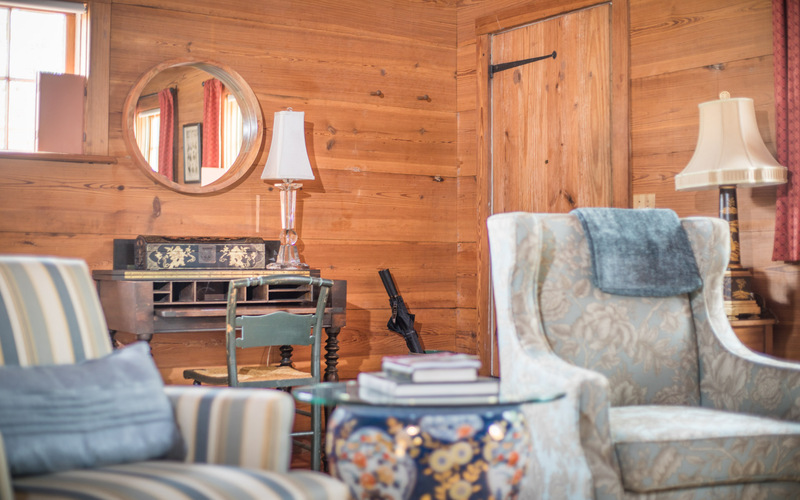 The cottage was the perfect place for us to get some alone time in a perfect setting. It was perfectly decorated, and the location was perfect for our nightly walks and was close to everything. We definitely will be coming back again. 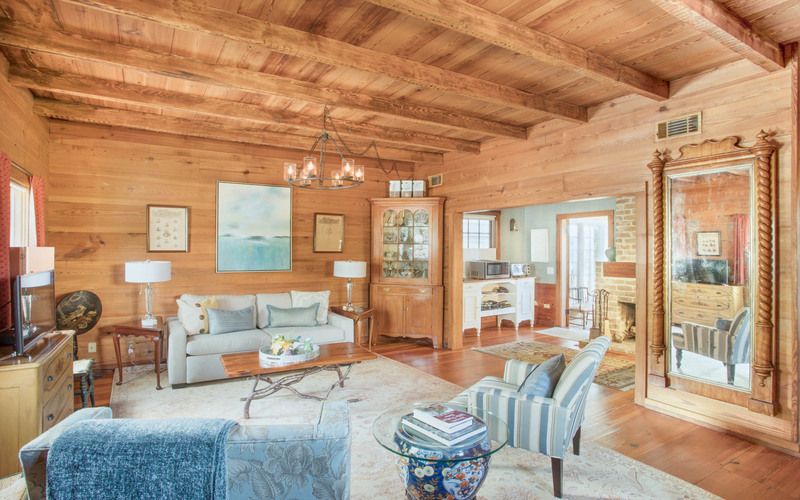 Freeman's Cottage was perfect for a weekend away in Savannah. Within walking distance of everything - we didn't use our car until it was time to go home! We could not have chosen a better location. 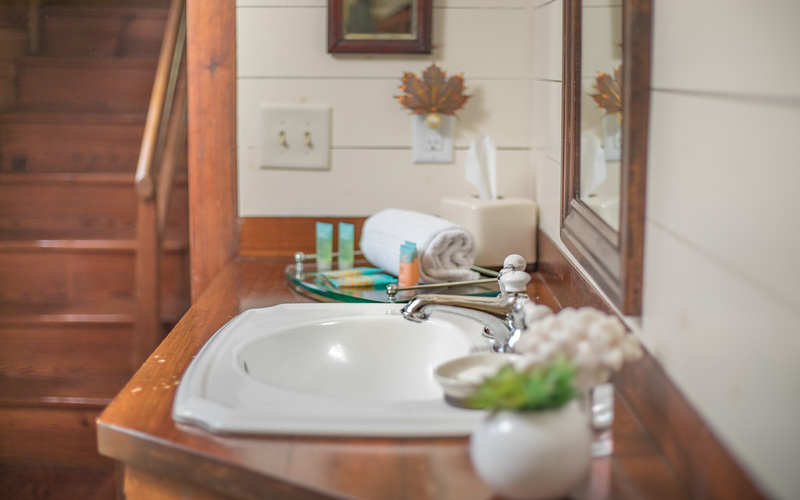 The cottage is super cute and charming and was very clean with plenty of towels and amenities. Noise was minimal and we got a great night's sleep due to the comfortable bed. Would definitely stay here again! Absolutely wonderful place to stay! The location was perfect, everything is within walkable distance so there is virtually no need to use the car while there! 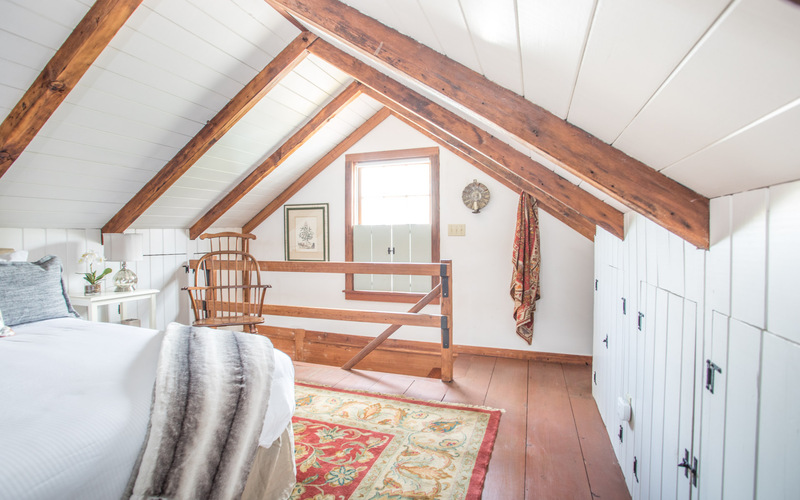 The cottage is so charming! 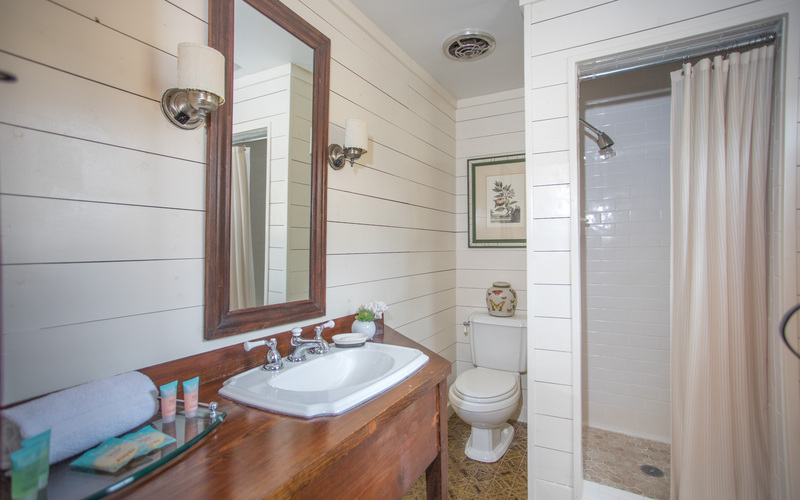 All of the modern conveniences with the maintained rustic appearance! 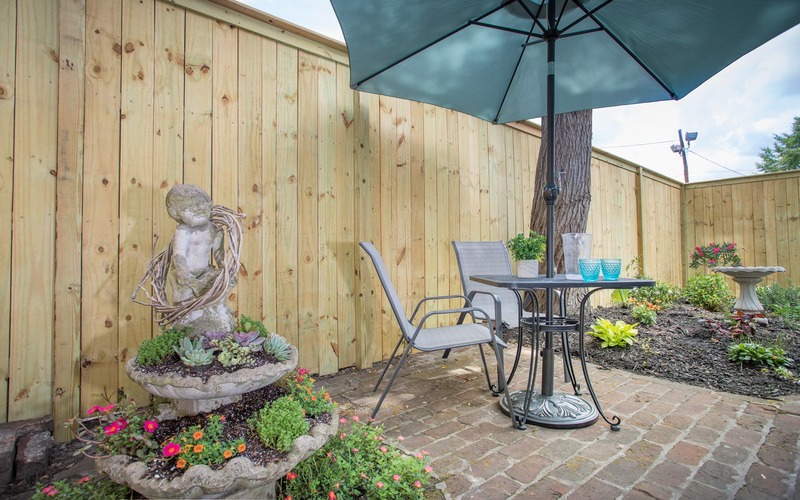 The back yard was perfect for sipping wine in the evening or drinking coffee in the morning! We absolutely loved it and will definitely stay here again! 5 stars all the way! My wife and I enjoyed our stay at Freedom Cottage. Thank you for the great service...we will be back! 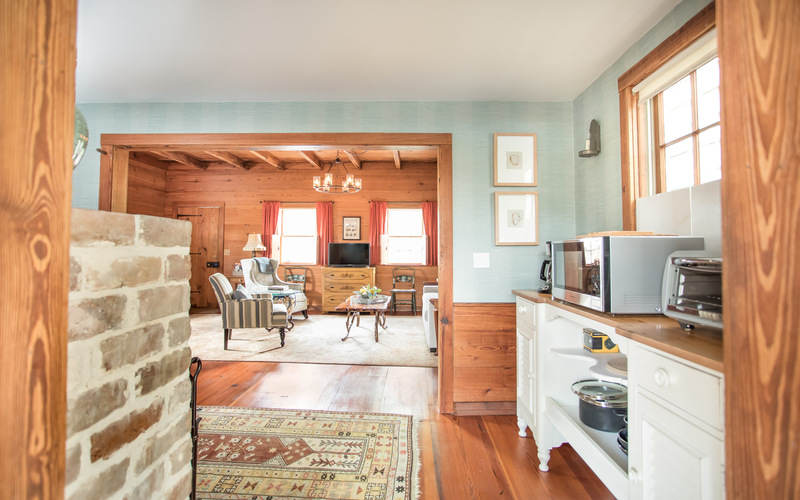 This nearly 200 year old cottage, with all the amenities anyone would need (including a washer/dryer, breakfast nook, outdoor eating space, pullout couch, coffeemaker, basic kitchen essentials, and perfect full bath and bedroom) was the perfect place for our stay in Savannah. Only blocks from River Street on a quiet street with a parking place, this house was within walking distance of everything. 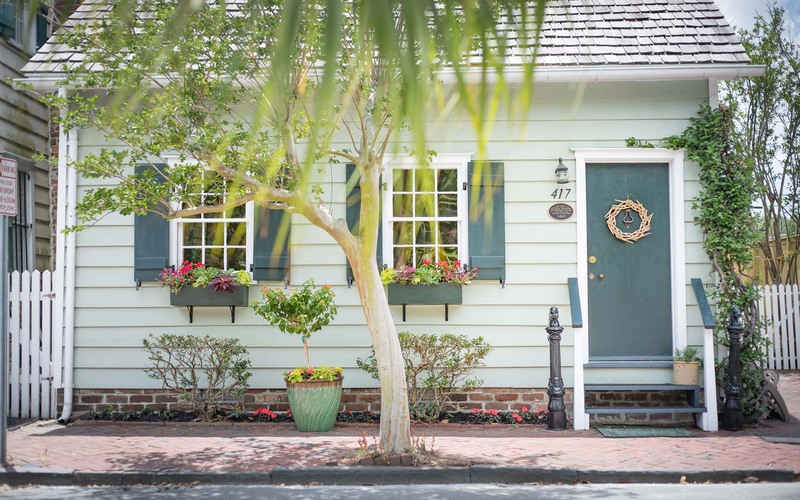 Whether we were bar hopping on Congress Street, eating on River Street, exploring the historic district, or hanging out in Forsyth Park, the cottage was perfectly situated. And, for those visiting in the summer, it was cool and comfy - the A/C was great! My husband and I agree, if we come back to Savannah again (and we will), we'll stay here! One of the best places we have ever stayed. Close to everything, comfortable,cozy and loved the history of it. We really enjoyed staying in Freeman's cottage. It was charming, clean, everything we needed. Enjoyed having meals in the back garden. Location was great. We walked everywhere! Savannah is beautiful. Anyone who stays in this cottage would have a wonderful time. Great place, really nice, clean, great location can walk to anything. Highly recommend! Beautiful cottage in a fantastic city. Bring your walking shoes and enjoy. Freeman Cottage was like visiting one of Savannah's famous houses-just delightful. Because of the location , we were able to walk to the river, toDavenport House and stroll down Broughton St. for shopping and a stop at Leopold's IceCream. A Pedicab bought us to the Mercer -Willams House.A night at the Savannah Theater was well worth seeing. I highly suggest you attend the current show. Mass at the Cathedral was "Heavenly" . What a wonderful choir. The church is beautiful both inside and out. A Trolley Tour gave us ideas of places to visit. 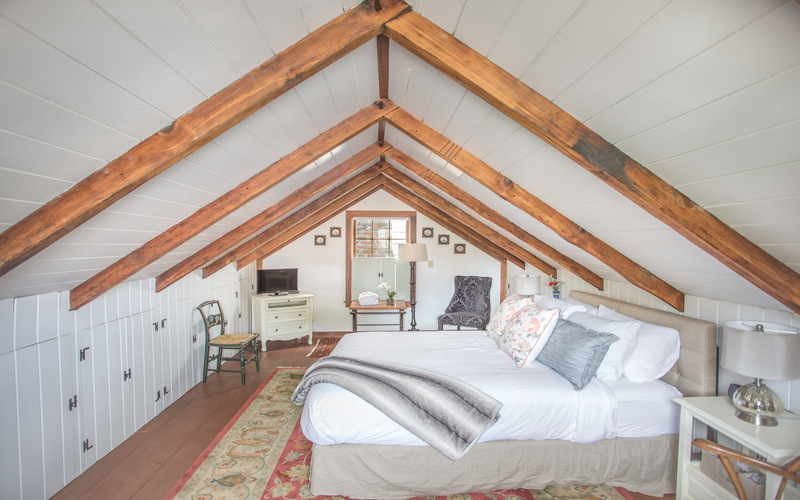 The Freeman Cottage and Savannah should be on everybody's bucket list! Carol, thank you again for choosing Lucky Savannah! We're so happy to hear that you enjoyed Freeman's Cottage. You certainly got a true taste of the Savannah experience! Thanks again for choosing to stay with us, John! My daughter and I stayed at Freemans Cottage during SCAD Move In Weekend. The cottage was perfect! 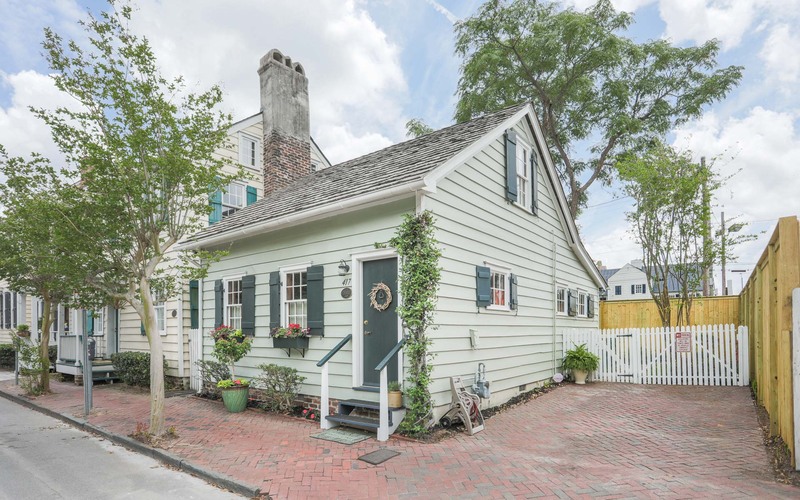 Not only is it adorable, but it is convenient to the both the historical district and Broughton Street, and has a private parking space which is priceless. The ladies at Lucky Savannah were so helpful and nice. I don't recall ever having such a good experience with a property management company before. Thank you for the kind words about our home and our service, Benita! It was a pleasure having you, and we look forward to hosting you again soon. The cottage was very clean and a good size for my husband and I. 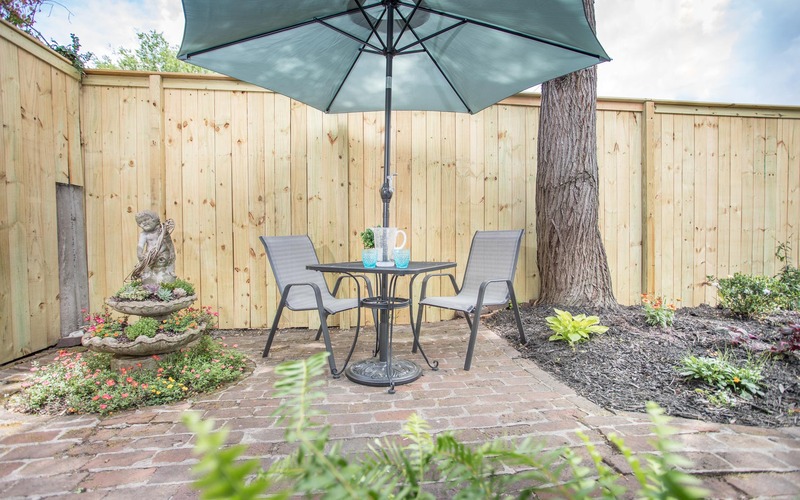 The backyard was the perfect size for our dog and a great place to relax after a long day or prepare for the days adventures. The location is perfect so close to everything and so easy to pop back home to drop off things we bought. The parking is perfect no worries about moving for sweeping days. The bed had to of been the most comfortable we have had in any cottage we have rented downtown. We will definitely stay here again! Sonny, thanks again for choosing Lucky Savannah! 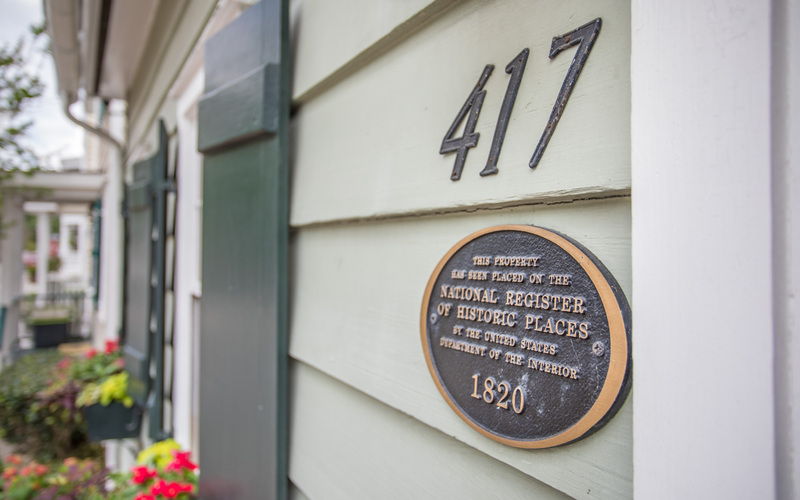 It sounds like you had a wonderful time at Freeman's Cottage. We look forward to hosting you again soon! Enjoyed Savannah as always. The rental property was in great location, and was just right for my wife and I. Perfect size. Staircase a little tight and steep, but managed fine. Was a little warm on upper bedroom level as there are no AC vents up there, but the fan circulated the air fine and it was not an issue. Thanks again for choosing to stay at Freeman's Cottage, Al! 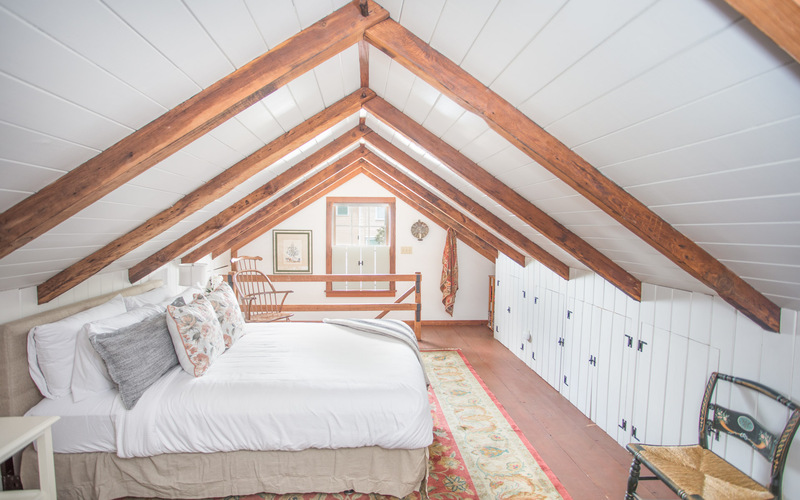 We had the perfect weekend stay in this little cottage. You can't beat the location. Walking distance to everything, but also just far enough from the "busier" areas to be quiet and for you to have an undisturbed sleep! The decor was second to none. So charming. Can't recommend it enough! Abby, thanks again for booking with Lucky Savannah! 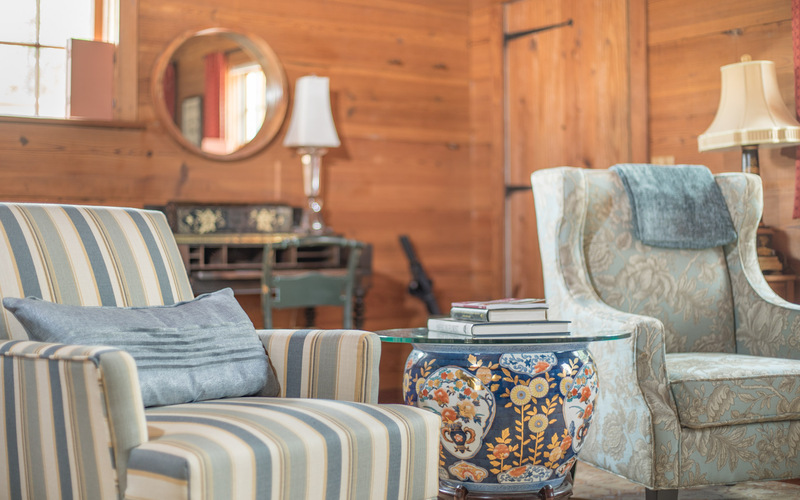 Freeman's Cottage is the perfect respite from the bustle of downtown. We look forward to having you again soon. 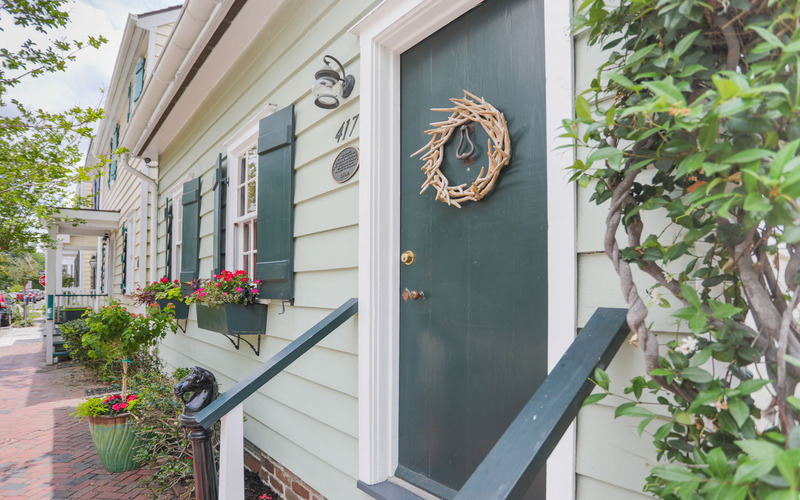 This beautifully appointed cottage is close to everything you will want to see and do in Savannah’s Historic District. 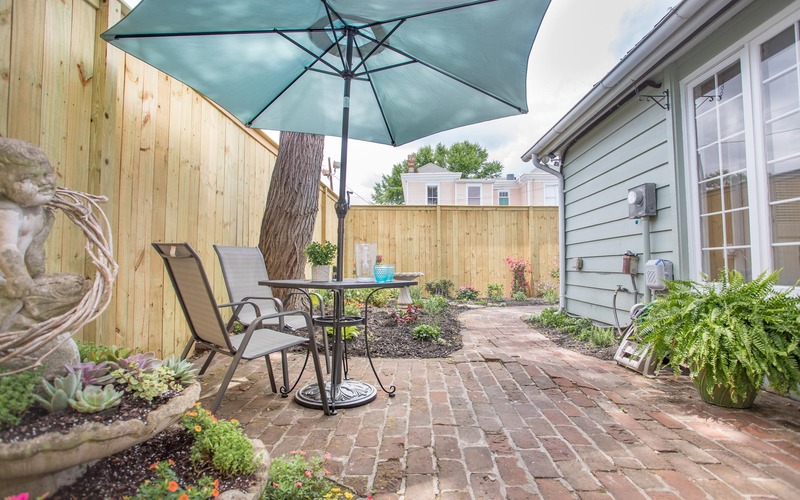 It features a private courtyard and offstreet parking. I walked to restaurants, shopping, and the sights - never needed my vehicle. The inside is elegant and comfortable. 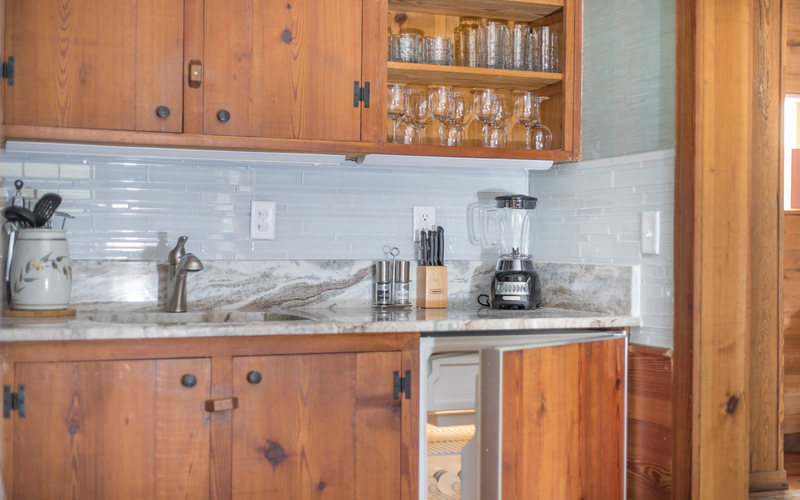 The owners have everything you need - blow dryer, hangers for clothes, iron and ironing board, washer and dryer, and information on all the area sightseeing. The house is in a safe residential area and the area is well-lit. A very professional property management company with their own app made check-in and check-out a breeze. 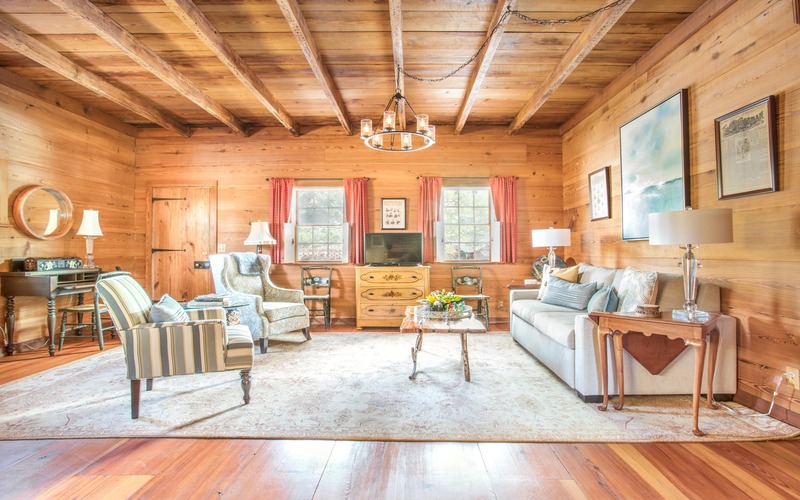 An exceptional VRBO. Sonja, thank you again for choosing Lucky Savannah! 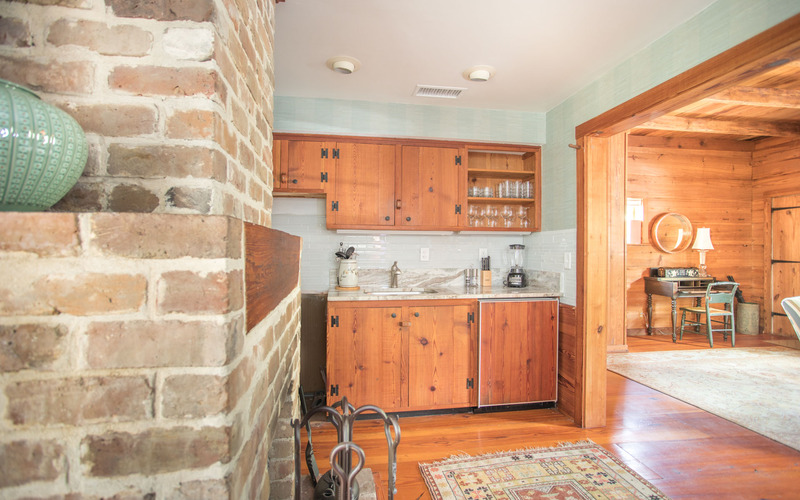 Freeman's Cottage is a true Savannah gem, and we're so happy to hear that you enjoyed your time there. See you again soon! Roxanne, thank you for choosing Lucky Savannah! We are so glad you enjoyed the location of your rental! Please come and see us again soon. Came here for the House Tour Weekend and had a wonderful time. 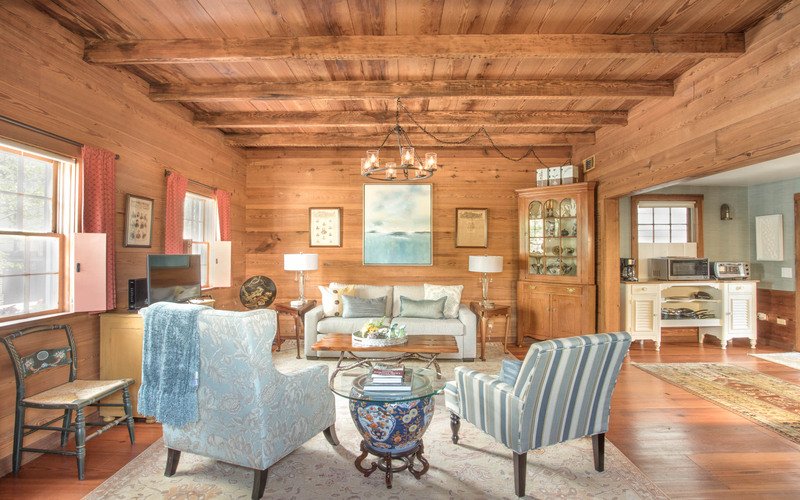 Freeman’s Cottage is a wonderful getaway. 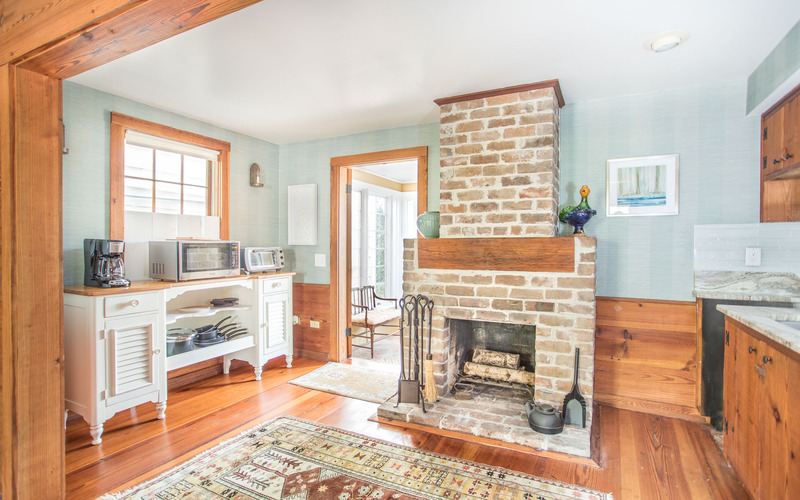 The location is phenomenal and the cottage was well maintained and quiet, right off of Warren Square. I definitely will book that place again. We truly enjoyed our stay here. The cottage was well stocked, easy to access, and in a wonderful location. A nice touch was a coffee table book about the history of many historic Savannah homes including this very one. We loved it! Wonderful little cottage. We stayed for 5 nights and walked everywhere as the location is so good. Would have loved to have stayed there longer. Hi Shirley! Thank you for choosing Lucky Savannah! We're so glad you enjoyed your cottage and the location. We would love to host you again soon! Absolutely loved the cottage. We parked the car and walked everywhere. 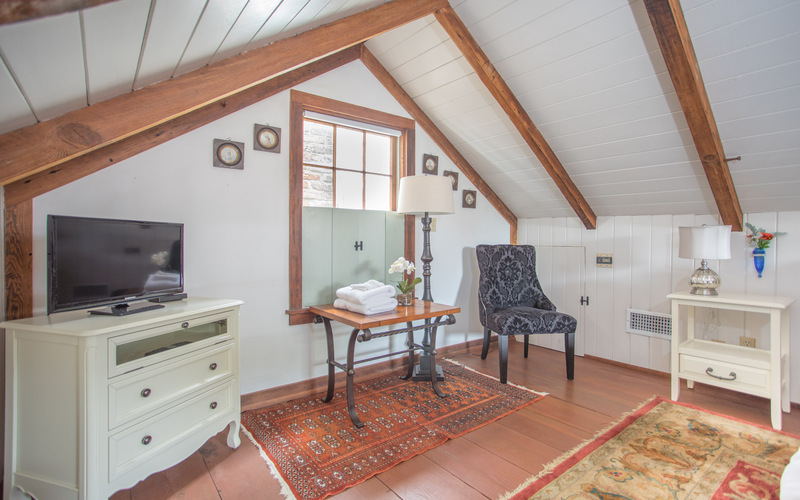 The cottage is cozy and comfortable, the courtyard is a great place to have your morning coffee or a glass of wine in the evening. Highly recommended and I am sure we will be back. Check-in and check-out was a breeze. WONDERFUL!!!! Cannot stop talking about it. Ready to go back! The little cottage was perfect. In walking distance to everything. I have suggested Freeman's cottage to co-workers, family and friends. Our only complaint would be that all the fees are not displayed up front. After the fees were added, out nightly rate was nearly doubled. That seems like a deceptive business tactic. That being said, the cottage was top notch. 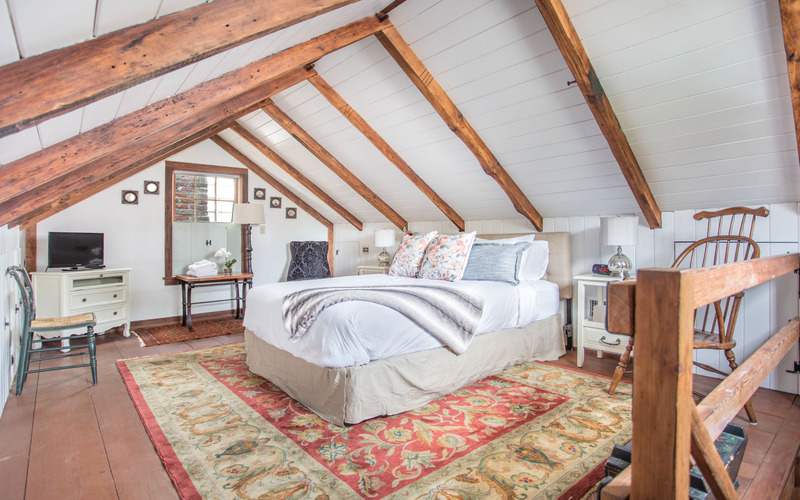 Immaculate, organized, cozy, homey and beautifully appointed. We felt right at home. The cottage was just perfect for our needs. It was very clean and well supplied with amenities for our stay. We would definitely stay there again! Location was perfect. It is in the historic district but not too busy with traffic and foot travel. We appreciated the location because we were able to walk to many attractions.